The following recap of Art Beyond the Glass is a guest post by Lindsay Nader. Lindsay is a bartender, founder of N.A.D.E.R., co-founder of Elysium Craft Cocktail Services, and writes a column for Los Angeles Magazine. She also created one of the standout cocktails (an Auchentoshan strawberry float called the Awesome Possum) and performed a rap at ABTG. A version of this article originally appeared in CLASS Magazine. 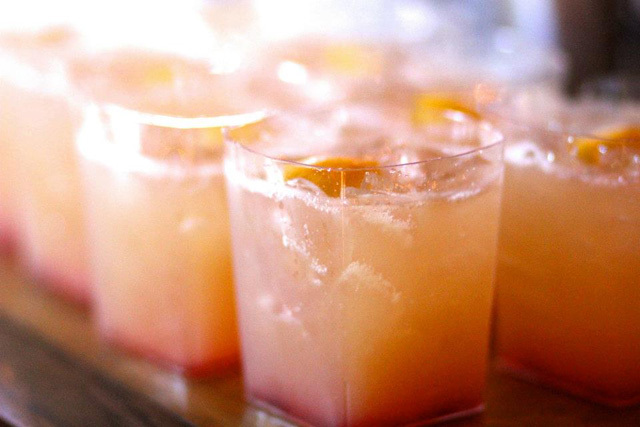 “Like many great things, it all started with a conversation in a bar.” Those were the words of Daniel Djang, author of the cocktail culture blog Thirsty in LA, when asked how Art Beyond The Glass, a charity event featuring bartenders and their artistic ambitions, came into being. 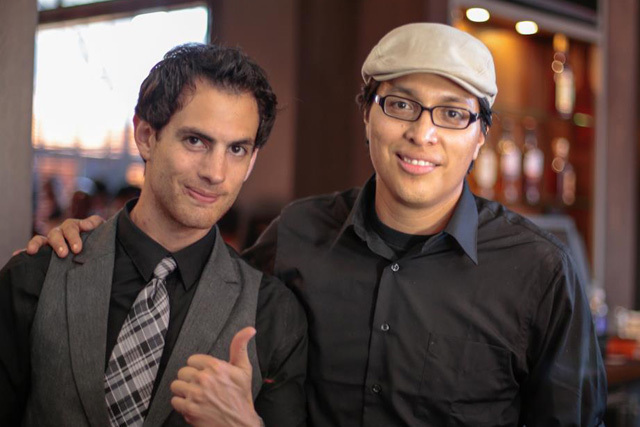 Djang, along with Zahra Bates (bar manager at Providence) realized that not only are Los Angeles bartenders some of the most talented and creative in the country, but they also express themselves artistically through many other mediums. Bates and Djang assembled a staggering list of bartenders who are performers, visual artists, photographers, musicians and writers and decided to create a showcase that would celebrate these artists, as well as raise money for the arts education institution Inner-City Arts, located in Downtown LA’s Skid Row. 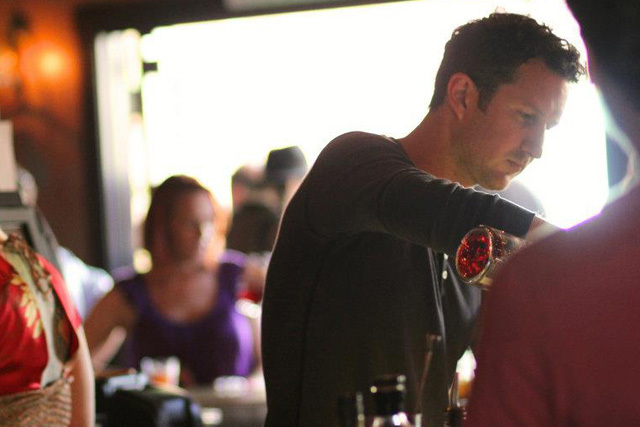 Giovanni Martinez, the man behind the bar program at Sadie Kitchen & Lounge in Hollywood, offered his venue to house the showcase, which went off without a hitch on Sunday, June 17th. 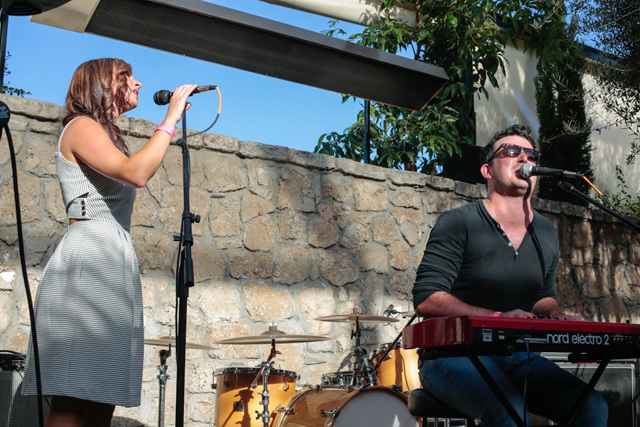 Performers included Mad Planet (an all-bartender band featuring Cooper Gillespie of The Thirsty Crow), the soft croonings of Laura Lindsay of Providence, the soulful duo of Erik Trickett (roe.) and his sister Lauren, and a magic showcase by Josh Lucas (The Writer’s Room and The Magic Castle). 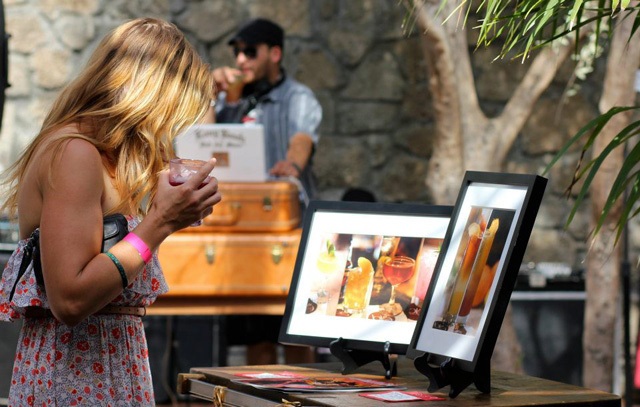 DJs on the patio included Naomi Schimek and Diana Gettinger of The Spare Room, and Allan Katz of Caña Rum Bar. 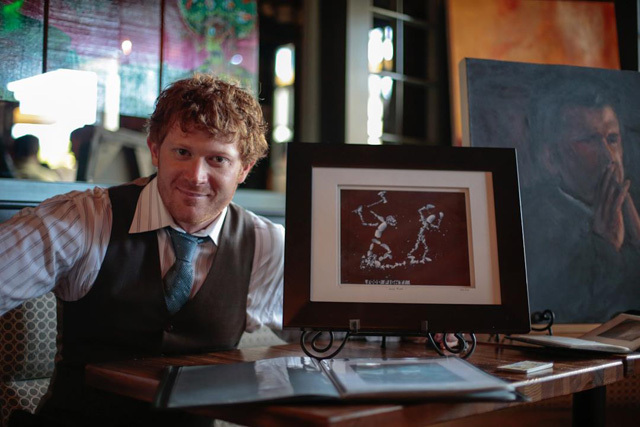 Art on display included works by Brian Butler, China Morbosa (Eveleigh), Justin Pike (Tasting Kitchen) and Naomi Schimek; photography from Mia Sarazen of Areal and Eugene Lee of Big Bar…and the list goes on. 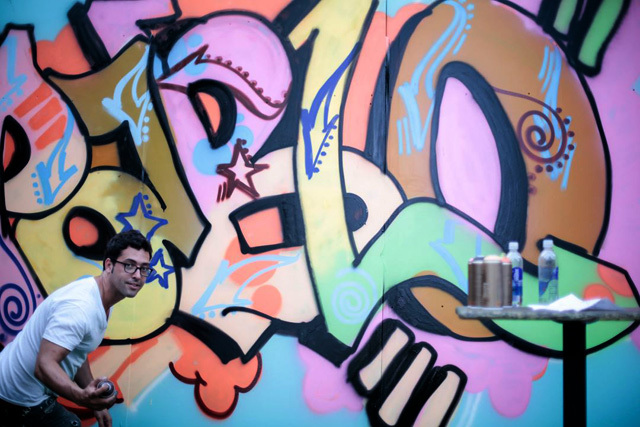 For a mix of performance and art, there was live graffiti art by Pablo Moix (La Descarga, Harvard & Stone, Pour Vous). While the performances were taking place, dozens of bartenders took turns making cocktails for guests, featuring donated spirits from Infinium Spirits, Karlsson’s Vodka, Sailor Jerry Rum, Campari America, Becherovka, Akvinta Vodka, Atlantico Rum, St. George Spirits, Del Maguey Mezcal, 123 Tequila, Henry Wine Group and Pierre Ferrand. Guests were smiling and dancing with drinks in hand as the event turned into a full fledged dance party, thanks to the bartender/DJ duo of Steve Livigni and Davidson Fernie (aka DJ Char Donnay and DJ Stepdad) both of the French concept bar Pour Vous. With over $6000 raised for Inner-City Arts and exceeding their internal fundraising goal by a wide margin, Djang and Bates plan to make Art Beyond The Glass an annual event with the possibility of extending its reach to other major cities.